You’ve learned stick, MIG, and TIG in welding school. Now it’s time to show off your new skills and have some fun in the sun at the same time. Impress your friends on the next camping trip, day at the shore or backyard barbeque with these 5 welding projects that are perfect for warm weather activities. 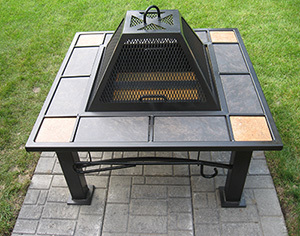 An outdoor grill is a great project for beginner welders, especially those who’ve already tried their hand at making a welding table. It’s practical, and the materials aren’t very pricey. All you really need to buy is a metal drum that hasn’t held anything flammable in it before and an angle iron. From there, you can use your stick welder to make the necessary tack welds to put it all together. If you’re feeling pretty confident in your MIG welding skills and want to try something even cooler, check out this Engine Barbeque. Hone your MIG and TIG welding skills by making an aluminum, outboard motor boat. 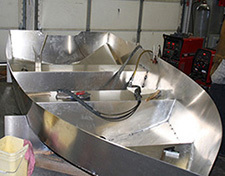 The stern of the boat pictured below was made with 3/8” and 1/8” aluminum. Truck bed lining was used for the floor and self-etching primer for the exterior. But you can customize your boat however you want. Give it a spiffy paint job. Outfit it with fishing rigs. Add some insulated cupholders to keep soda and beer cold during long afternoons on the lake. Late-night summer and fall parties just wouldn’t be the same without a fire pit in the backyard. While everyone is surely familiar with the standard grate-covered pit in the ground, you can use your new MIG welding skills to take things a notch up—literally—with this stand-alone pit. Use these MIG welding tips to make your fire pit even better. 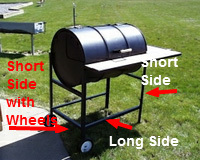 Step up backyard barbeques and parties even more with an outdoor serving bar. 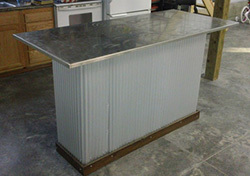 The one shown below was made with a MIG welder and a steel tube frame wrapped on three sides with corrugated metal. Stainless steel with a rolled edge was used for the top. If you want to go for a more rustic look, you could use barn wood for the top instead. If you’re MIG welding often, make sure to stay safe with these tips. 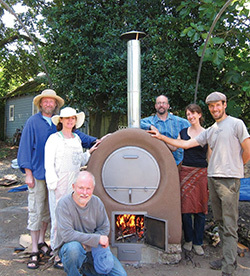 Complete any get-together by offering friends and family hot, homemade pies fresh out of your wood-fired pizza oven. This is a more advanced and expensive project. For the welding portion—the barrels, doors and drawers—you’ll need an angle iron, sheet metal, a welded wire grid and handles and hinges. These five projects are a great way to put the skills you’ve learned in welding training to work improving favorite pastimes during the warmer seasons. As you advance your skills, you can try these 5 challenging welding projects.